The purpose is to increase the visibility and ease of use of open access scientific and scholarly journals. 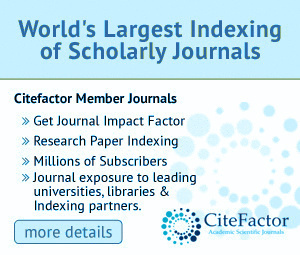 If your journal is indexed & got validated stamp from Citefactor, you can request for the calculation of impact factor for your journal. "In addition, CiteFactor is working on next major task to link publications with all the publications in their bibliographies, thereby making possible a wide variety of publication and citation reports." Directory of International Reseach Journals in association with leading universities. 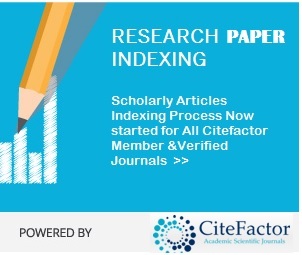 Bestowed with the eminence of the finest service provider for open access journals, CiteFactor with its announcement of a new feature launch called as the 'Real Time Impact Factor' for research paper is creating ripples amongst industry enthusiasts. Click Here to Open, You can submit your journal for Evaluation.